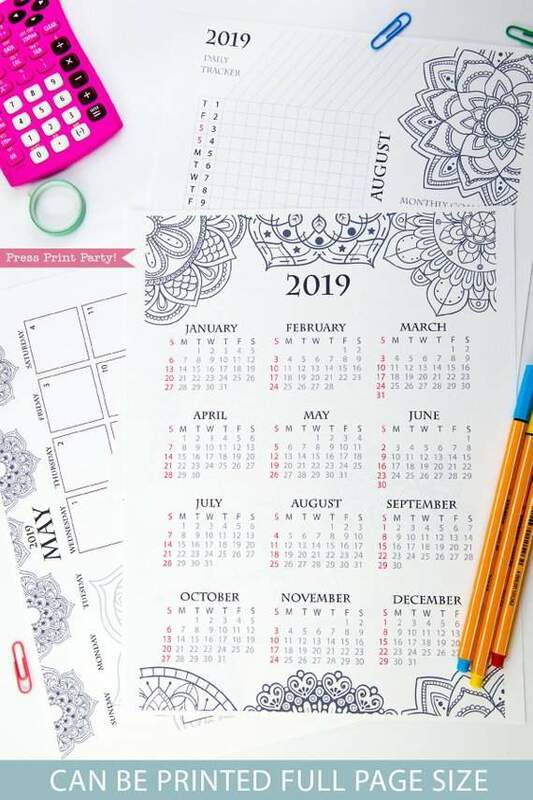 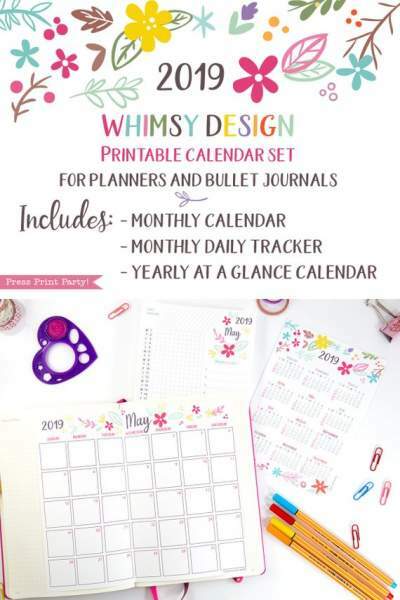 2019 Calendar Set Printable, Mandala Coloring Design - Press Print Party! 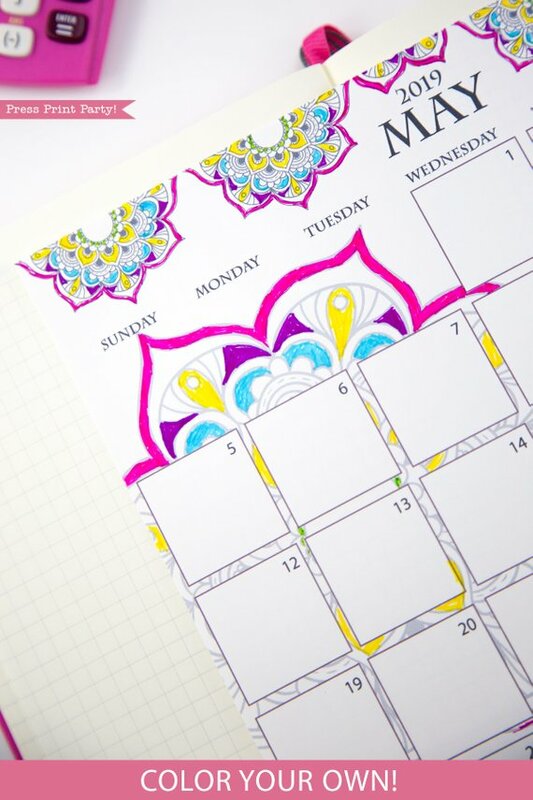 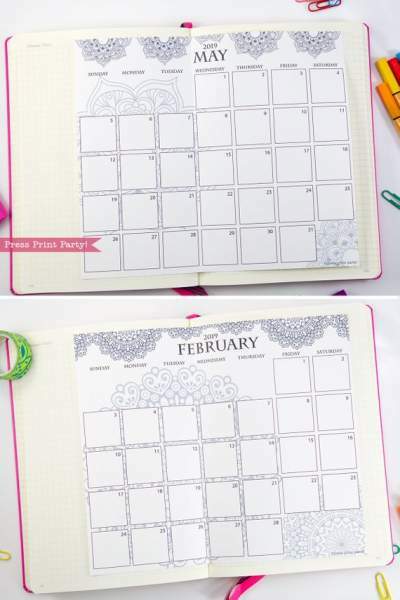 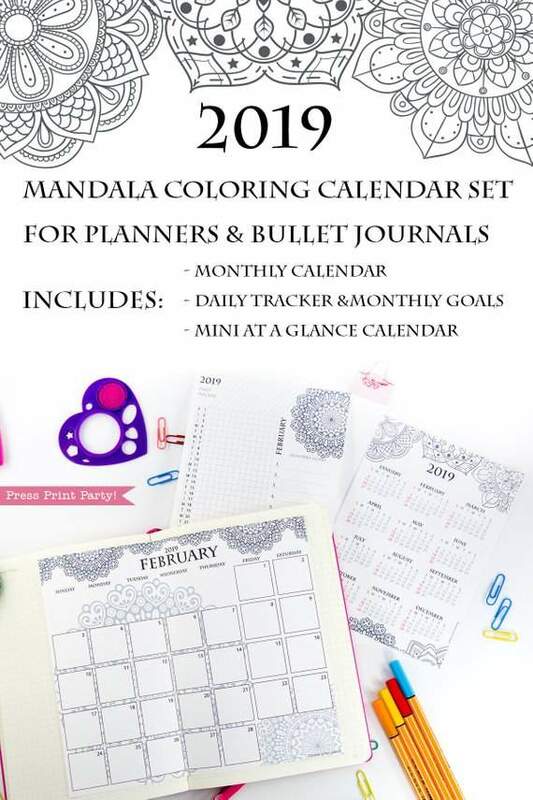 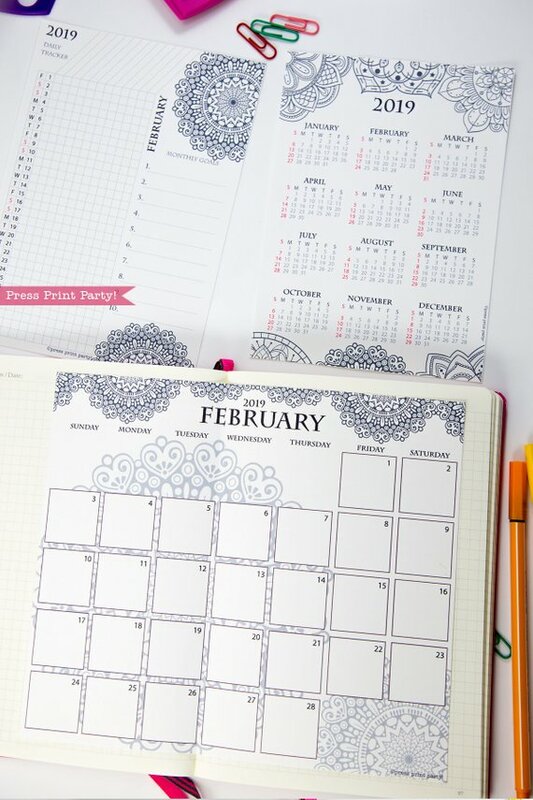 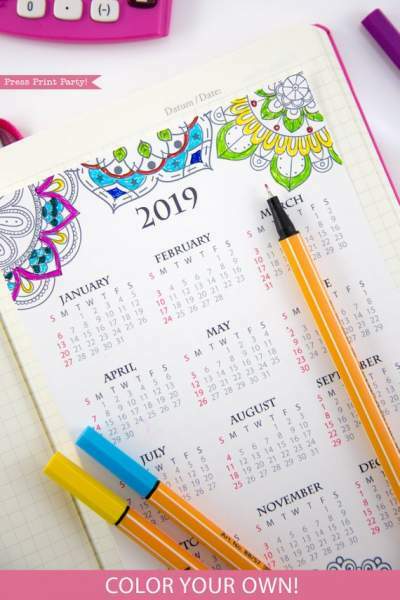 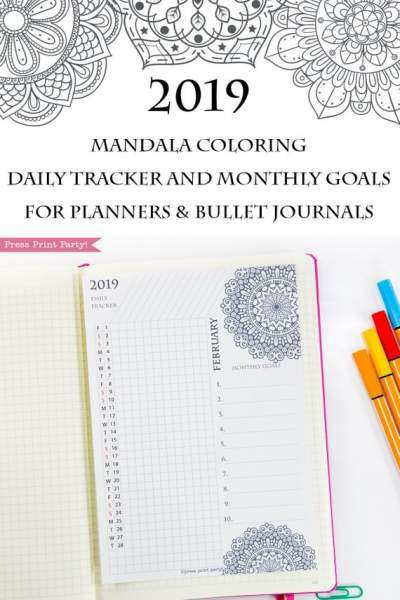 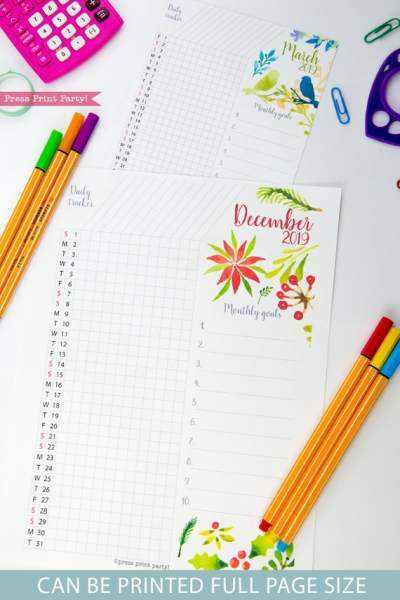 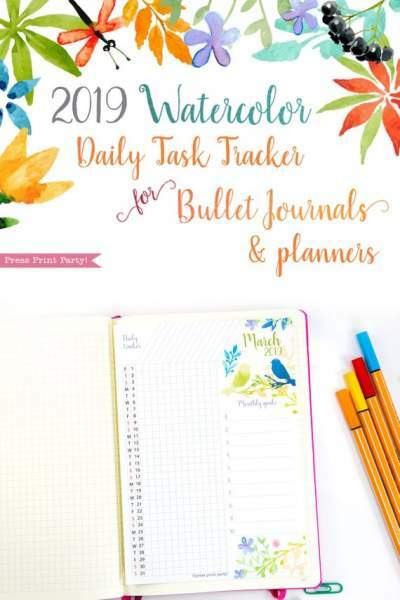 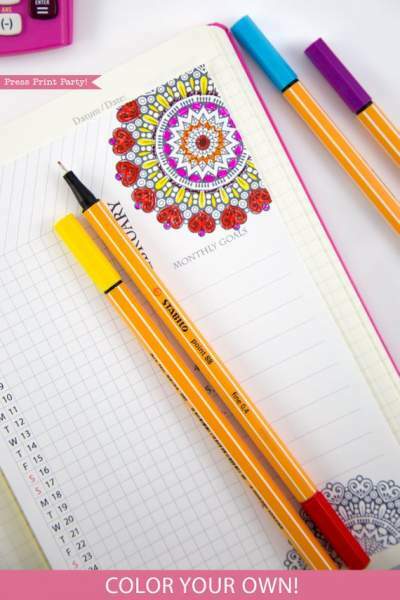 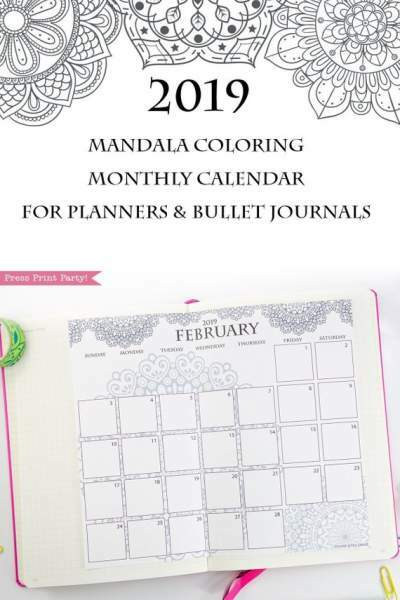 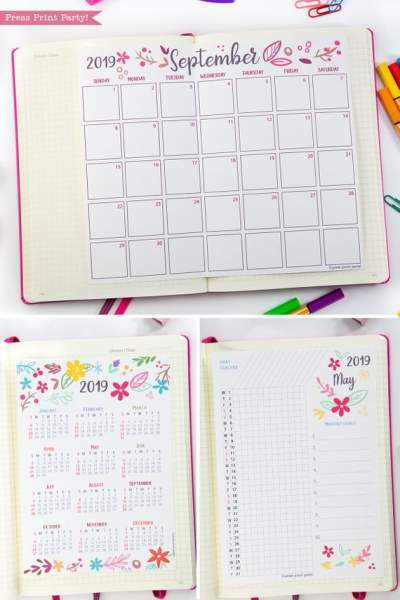 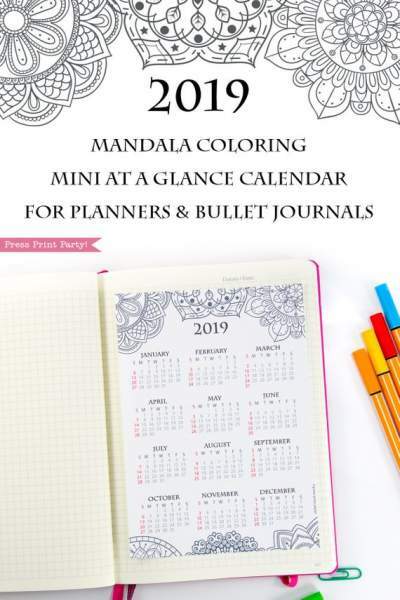 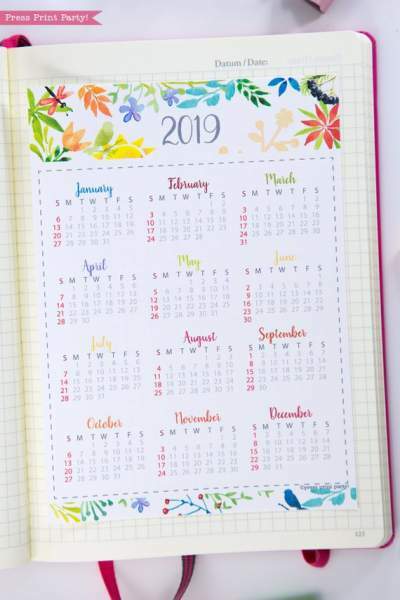 Start the year and each month organized by using this fun mandala coloring 2019 calendar set in your bullet journal or planner. 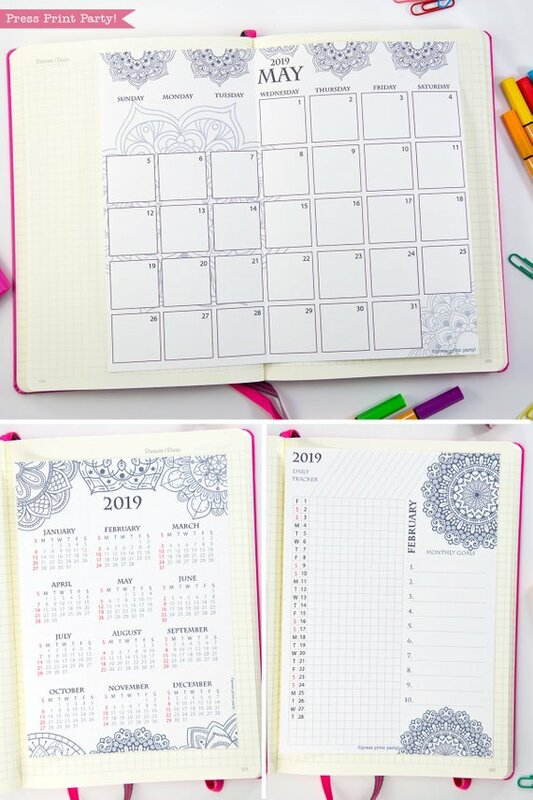 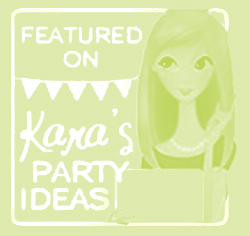 Very practical yet elegant layouts. 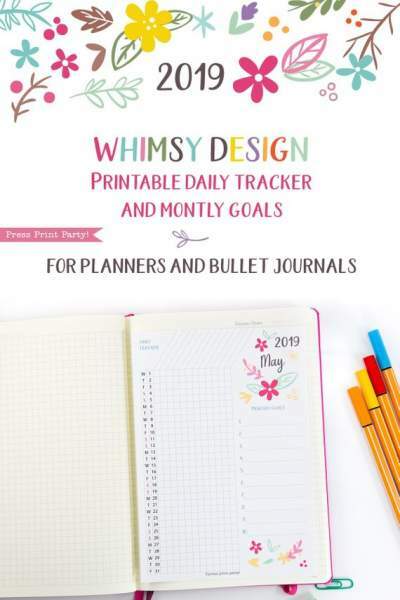 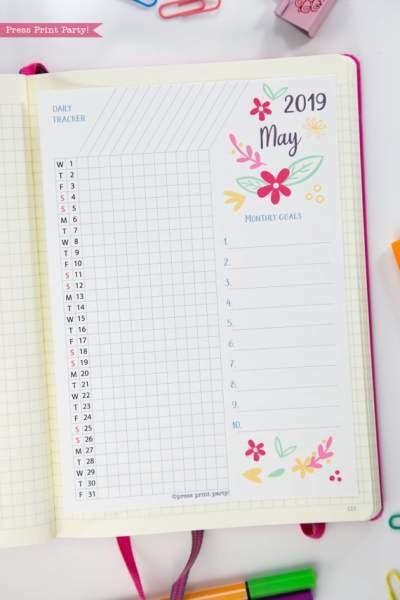 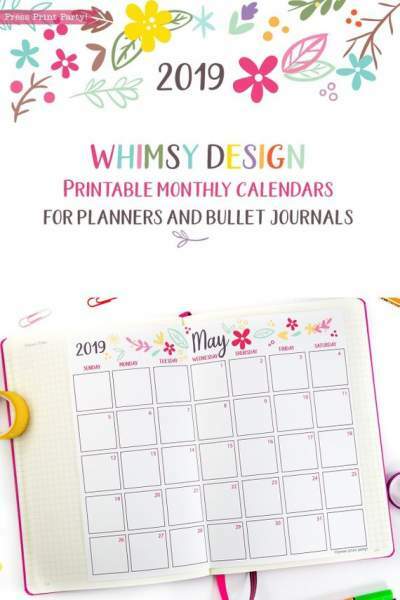 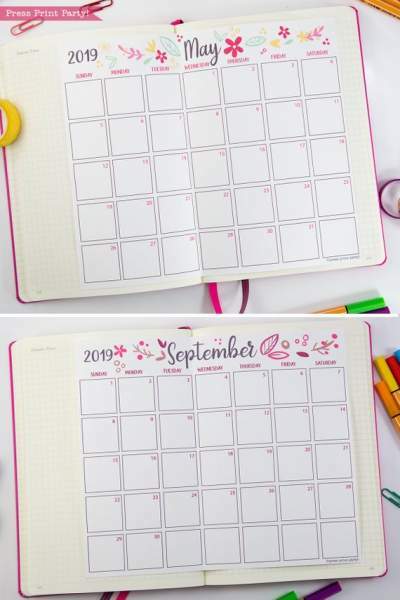 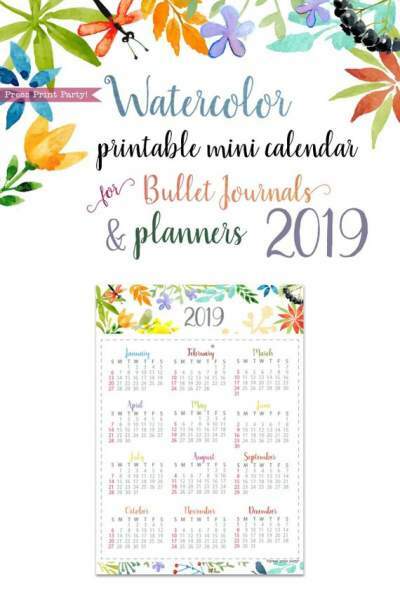 My go to for bullet journal printables.